I just love this Birthday Brew card and I am still playing with the bubble over stamp set and dies. These cards are quite simple to make yet pack a punch. I am totally crushing on the black-and-white-with-a-splash-of-colour look at the moment. 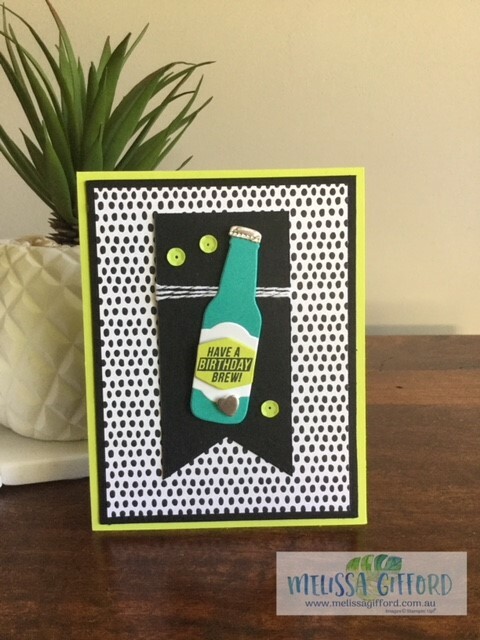 Pairing the black and white with lemon lime twist and bermuda bay keeps this a gender neutral card. The set has various sentiments to cover most occasions too! The coordinating dies make this a quick card to mass produce for invitations or party decorations. Change the colours to match the recipient's favourite drink and you are on a winner! Click on the thumbnails below to shop online 24/7.